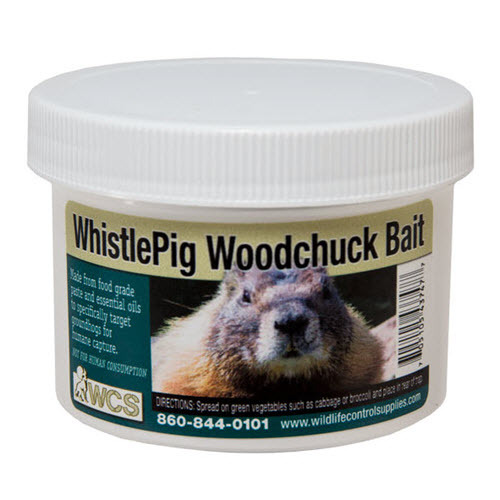 Home > Animal Bait & Lure > Woodchuck and Rabbit > WCS™ Whistle Pig Woodchuck Paste Bait 8 oz. 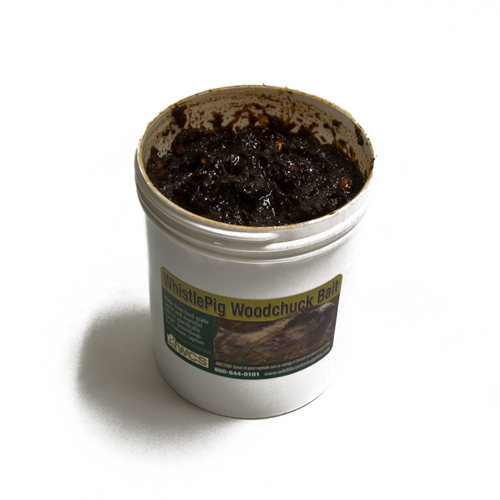 Woodchuck or groundhog paste bait. This is a blend of no less than four irresistible essential oils, plants, and vegetable juices compounded to really make a groundhog or woodchucks mouth water! At a time when food is plentiful you have to offer them something they can't resist...........that is "Whistle Pig". INSTRUCTIONS FOR USE : Smear some Whistle Pig on a large leafy vegetable, like cabbage and place in rear of trap. Watch the results ! !